Ce, 3ème étage Appartement 2 chambres élégant, à la Villa Renaissance est l'endroit idéal pour des vacances familiales, mariages de destination, lune de miel, anniversaire, escapade romantique et des vacances de golf. Tout au long de la suite vous trouverez travertin planchers de marbre et de tuiles. Il y a une cuisine entièrement équipée avec comptoirs en granit, bar et des appareils en acier inoxydable, salle à manger séparée et un salon, laveuse pleine grandeur et sèche-linge (fer et planche à repasser), et un beau et grand balcon Juliette donnant sur l'océan. Le Maître chambre en suite a un lit king size, avec la deuxième chambre située dans un format double. Maître salle de bains comprend une grande baignoire pour l'expérience parfaite de détente, d'une douche, miroirs éclairés, sèche-cheveux et une double vasque. Hall 2nd Bath a une douche à l'italienne, miroirs lumineux, coiffeuse et sèche-cheveux. Une courte promenade le long de notre promenade vous amène sur le sable de poudre douce primé plage de Grace Bay, et le saphir et turquoise des eaux. sports nautiques motorisés et non motorisés (comme paddle board, kayaks ou des chats Hobie), des excursions quotidiennes, romantiques excursions en bateau isolées et plus sont à votre portée. La piscine en mosaïque est un excellent endroit pour nager ou vous détendre à côté des jardins des Caraïbes, et pour les plus énergiques, nous avons un petit centre de fitness et de tennis. Veuillez noter qu'il s'agit d'une unité au troisième étage. 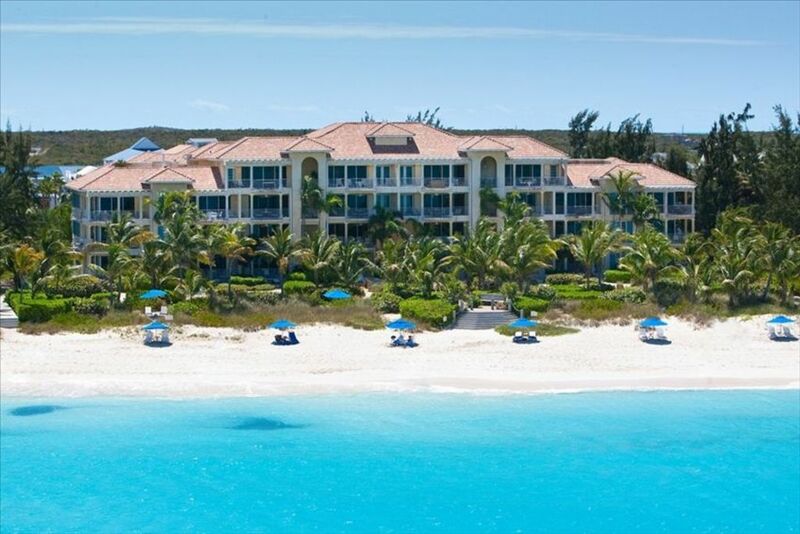 The stay in Turks and Caicos and Villa Renaissance was amazing, the stay was very comfortable, breathtaking views from the balcony and great location. The stay was wonderfully peaceful, the staff were so warm and generous with conversation, perfect weather and such beauty. Deep sand and warm water...cannot wait to return! Had a very lovely visit. The scene from the condo is exactly as shown - breathtaking. The condo is absolutely lovely. Kitchen had everything we needed. Beds were slightly harder than I like, but extremely clean, well maintained. Staff was extremely pleasant, housekeeping great. We had a wonderful visit and would definitely go back. Lots within walking distance. Completely positive experience. Thank you for taking the time to give a review. We are delighted that you enjoyed your vacation. We will be sure to share your review with the condo owner and our staff. We look forward to seeing you again soon. Great clean unit it. Great staff! Couldn’t have been any happier. This property was perfect and was just what we were looking for. The unit was up to date and beyond clean. We never heard another person while in the unit. The complex is on one of the nicest beaches we have been on. The beach had nothing on it except soft white sand. This water was the bluest that we have seen in our travels. A few things to think about before going to this condo. First if you rent a car just know that the roads are barely marked with street signs. We arrived in the dark and it was a total pain to find. Speaking of renting a car I highly recommend it. We went to the grocery store a few times and was told to take a cab would have been $20 a person per trip. Be prepared to spend money on your trip! We knew this going into this but the prices for food are god awful high. A case of beer ~$70. A two liter bottle of soda ~$5. Don’t get me wrong it was well worth the price considering where we were in the world. We are delighted that you enjoyed your vacation at Villa Renaissance and your stay in Villa 307. That you for sharing your experience with us and our future guest. We look forward to seeing you again soon. Thank you for taking the time to share your vacation experience. We are delighted that you enjoyed your stay. We will be sure to share your review with the property owner. We hope to see you again soon. We are so delighted that you enjoyed your stay in Villa 307, the hospitality of the staff and Grace Bay. We look forward to your next visit. Great condo, beautiful views of the ocean off the large balcony. Very nice pool and beach, plenty of beach chairs, umbrellas, and towels. Cute little poolside bar. Very central - walking distance to several shops and restaurants, and others were a short drive. We found the staff to be VERY helpful. Brikell waited to greet us even though we stopped for groceries and got lost twice (sorry Brikell), and she checked on us later. When my husband dropped his phone in the ocean, Corell ran up to a nearby Thai restaurant for some rice - without our asking, and checked later to see if it helped. Every staff person greeted us warmly - sometimes by name - and offered helpful suggestions (like don't tell the snorkel tour company that you have a car, and they'll come pick you up). The only very minor, picky issue was no time on the local cell phone. But we had put an international travel plan on our cell phones ahead of time, so we didn't plan to use the local phone anyway. All in all, a great condo in a great location, with great staff. We are delighted to hear that you enjoyed your stay in villa 307, and that our staff helped to make your stay most enjoyable. Your feedback is important to us and will help us to greatly improve our service. Thank you again for choosing Villa Renaissance.We hope to see you again soon.